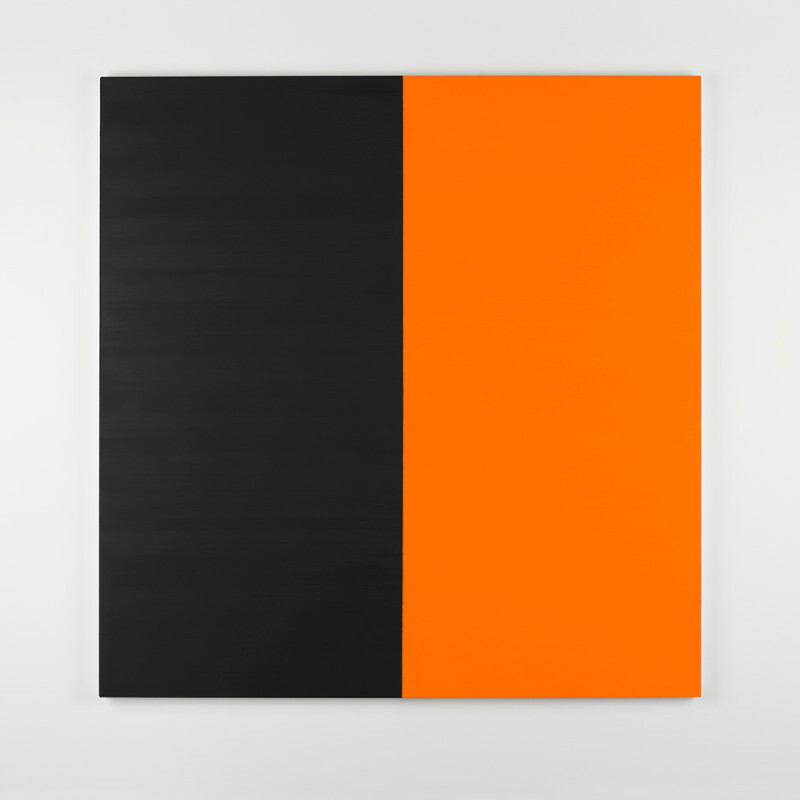 In his first exhibition at i8 Gallery, Callum Innes shows a selection of new oilpaintings and watercolours. Using a complex process of applying and removing paint, (a technique that has been referred to as “un-painting”), Innes washes paint away from the canvas or paper – bringing luminosity to the work while at the same time revealing varied veils of color buried within the seemingly monochromatic pigment. In this way, he works back to front, basing his work on reduction, as he explores the balance between control and chance. Innes is perhaps best known for his on-going Exposed Paintings series, paintings that explore the intrinsic value of colour as well as the contrasts of solid and opaque and of dark and light. They capture a moment in time – like snapshots of works in continual progress – and at the same time retain a fragility and tension from the inbuilt possibility of failure. Callum Innes was born in 1962 in Edinburgh. He is one of the most renowned abstract painters of his generation and his work has achieved widespread recognition worldwide. Innes has won several awards in the UK; a finalist for the 1995 Turner Prize, he won the Jerwood Prize for Painting in 2002 and the Nat West Prize in 1998.